You saw Star Wars when you were just a youngin’. Sure, some of your friends were waving around flashlights, pretending to be a Jedi, but you were busy pretending to be the greatest character to ever live in a galaxy far, far away. Of course, we’re referring the Chewbacca! Yes, Leia may have once called him a “walking carpet” but we all know that Chewbacca is the single greatest thing to come out of the Star Wars universe. He’s the ultimate wingman, since he can pilot the Millennium Falcon and he can also man the weapons systems. He’s great in a fight, since he’s a Wookiee and he can easily toss a Stormtrooper about 20 yards with his bare paws. He’s also way cuddlier than any other character (aside from maybe the Porgs). It’s no surprise that kids have idolized him since their first viewing of Star Wars. Now, as an adult, you have the opportunity to be just like him! 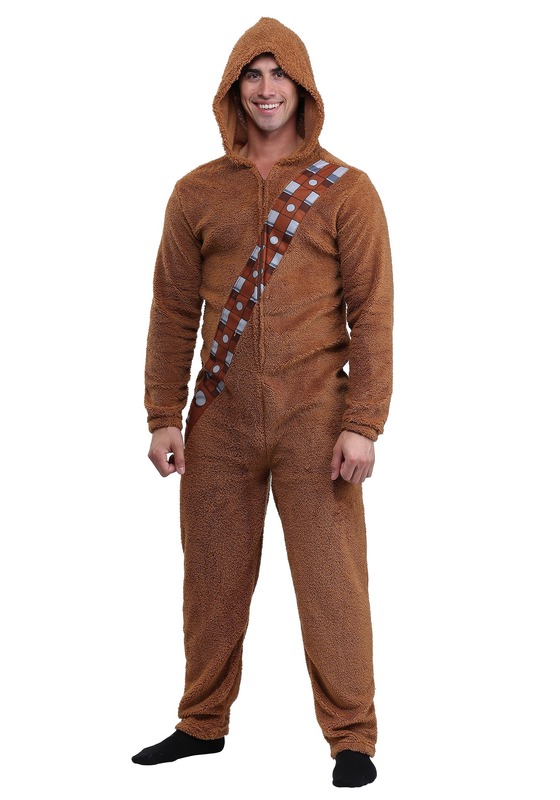 That’s right, with this this Star Wars Chewbacca onesie, you get to feel just like a Wookiee. The adult onesie fits with a zipper in the front and has a soft polyester exterior that looks like faux fur. An appliqued bandolier runs across the front. 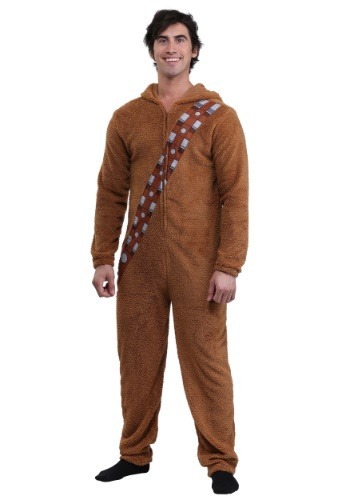 It also has a hood to help you feel extra cozy, much like a real Wookiee! You can wear it while you attempt to do the Kessel Run with your best bud, Han Solo, or just wear it on the couch during your next movie marathon.